In Arkansas, we’re beginning to see the orange, red, and yellow of fall colors. The nights are cooling off into the 50’s, and beautiful pumpkins are everywhere! 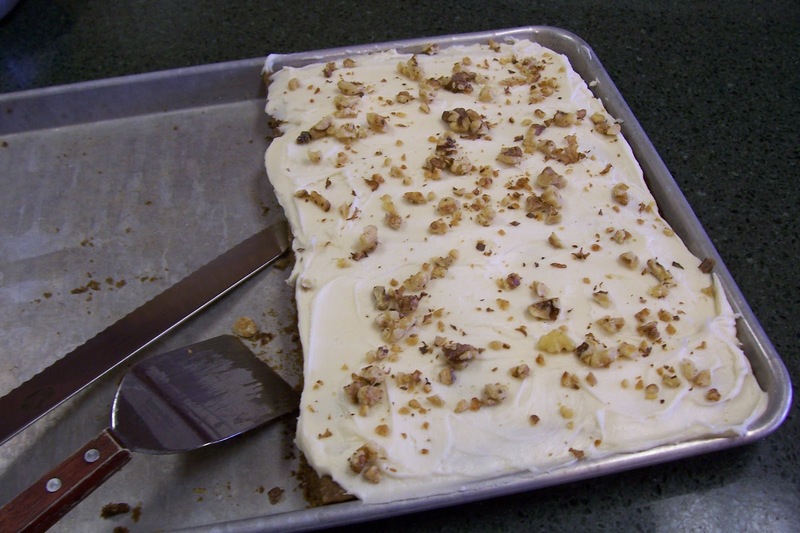 At Lookout Point Lakeside Inn, guests enjoy a new moist and flavorful dessert of Pumpkin Bars with Maple Cream Cheese Icing. Spray 10×15 inch jelly roll pan with non-stick spray. Beat eggs, sugars, oil, and pumpkin on medium until light and fluffy. In separate bowl, whisk flour, baking powder, baking soda, cinnamon, cloves, and salt. Add to pumpkin mixture and stir until well mixed. Pour batter into prepared pan. Bake for 20-25 minutes. Cool. For cream cheese icing, beat all ingredients until smooth. 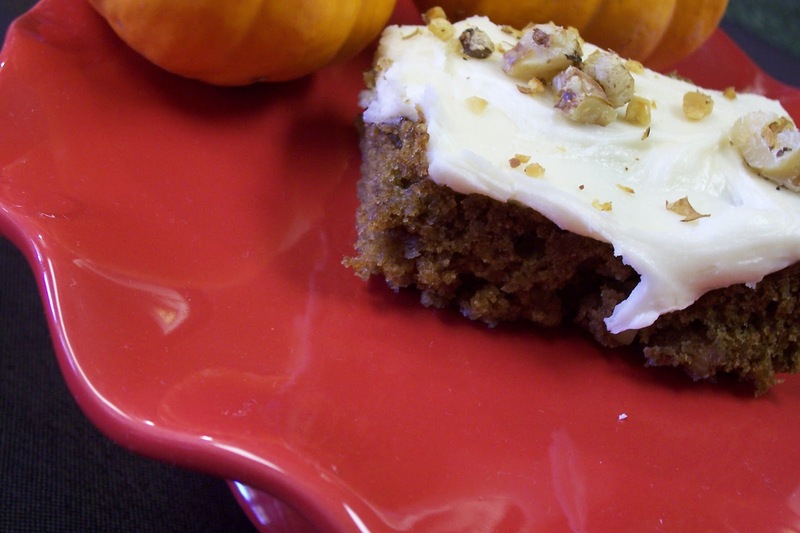 Spread over pumpkin bars. Top with roasted walnuts, if desired.